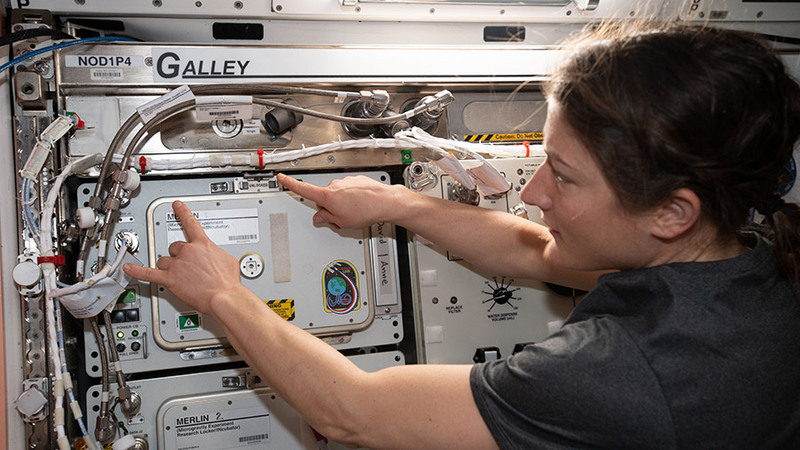 NASA astronaut and Expedition 59 Flight Engineer Christina Koch familiarizes herself with International Space Station hardware inside the Unity module. 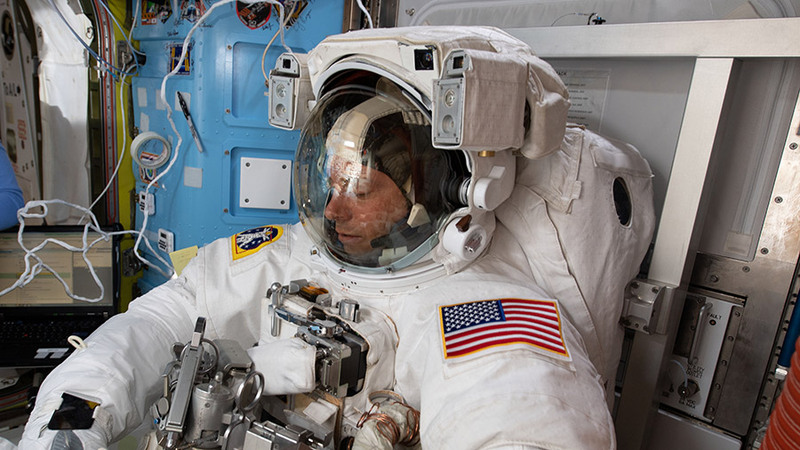 NASA astronauts Nick Hague and Anne McClain continued organizing their tools this morning ahead of Friday morning’s spacewalk. 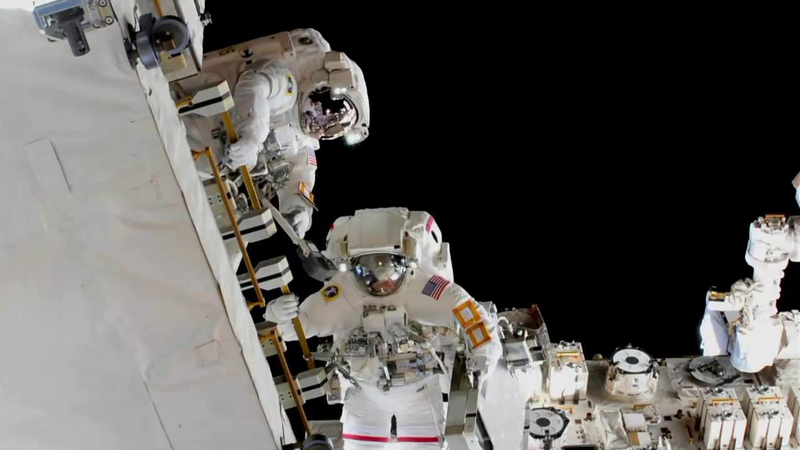 The duo will enter the Quest module’s crew airlock and their spacesuits will go on battery power Friday around 8:05 a.m. EDT signaling the beginning of the spacewalk. 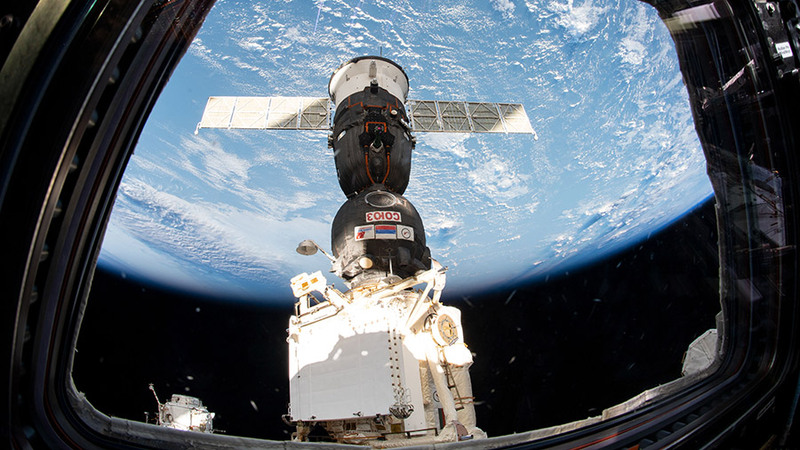 Hague and McClain will spend about six-and-a-half hours upgrading the International Space Station’s storage capacity. 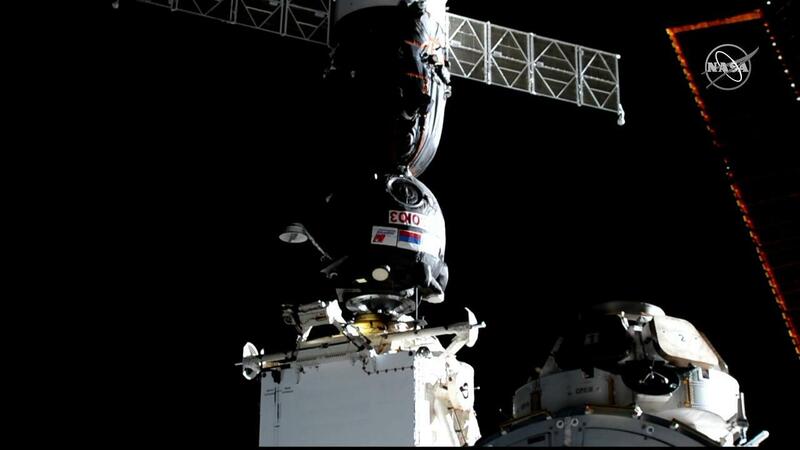 They will swap out old nickel-hydrogen batteries with new lithium-ion batteries and install battery adapter plates on the Port-4 truss structure. 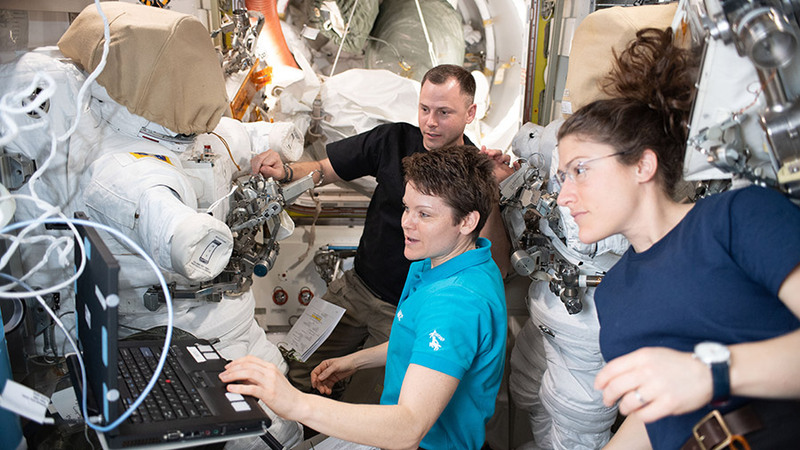 NASA TV begins its live space coverage Friday at 6:30 a.m.
Hague started Wednesday, however, in the Columbus lab module helping scientists understand how microgravity impacts the perception of time. 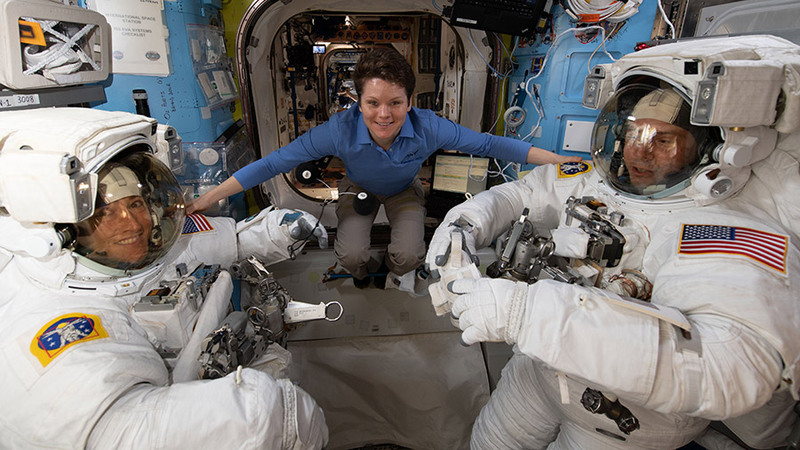 McClain collected light measurements in the afternoon from two laboratory modules and the Quest airlock to document how new station LED lights affect crew wellness. 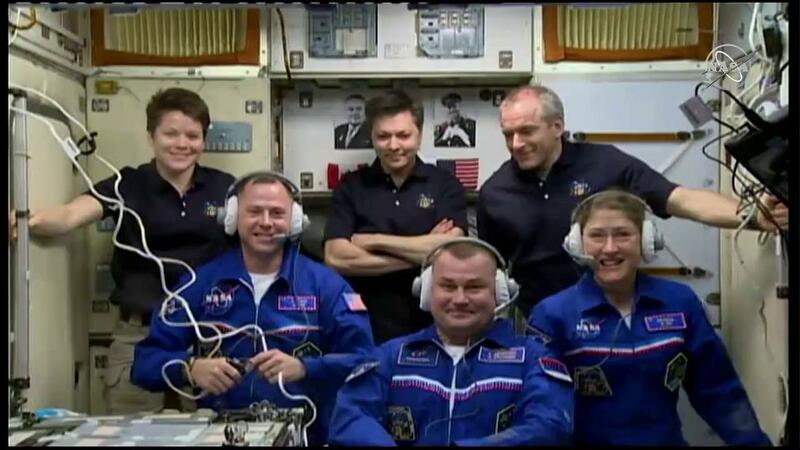 The station’s latest crew arrivals spent a couple of hours Wednesday morning checking out safety and communications gear. 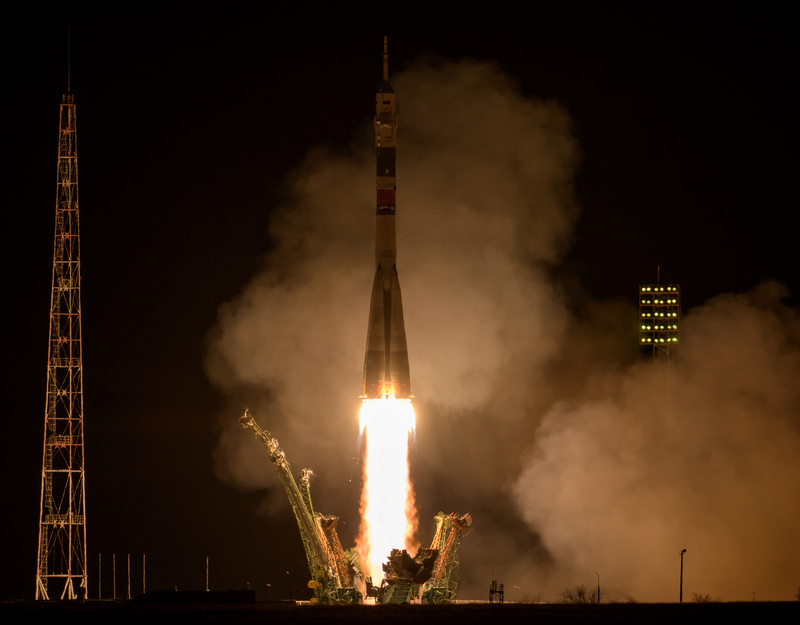 Hague along with Flight Engineers Christina Koch and Alexey Ovchinin split their time between the station’s U.S. and Russian segments looking at emergency hardware and procedures.